We examine some of the practical considerations around running a car wash business. Are you making the right decisions for your target market? Right now, the car washing business is a promising option for someone who wants a simple business model and strong, steady demand. But once you’ve bought your car wash, what are the key factors in making it a success? Automation in the car wash trade means you can offer a more consistent, faster and cheaper service. Less labour-intensive, you can employ fewer staff and enjoy bigger margins – with more scope for passing on savings to customers in the form of lower prices. You can also turn customers over more quickly and generate more revenue per hour. However, automation also requires a substantial investment up front – especially for the in-bay option, so self-service might be more appealing – so you’ll need to raise some finance. In other words: your equipment has to be safe and efficient enough to last the distance, but not so expensive that you can’t afford to purchase new machinery when you need to. Nevertheless, the human element is still valuable. 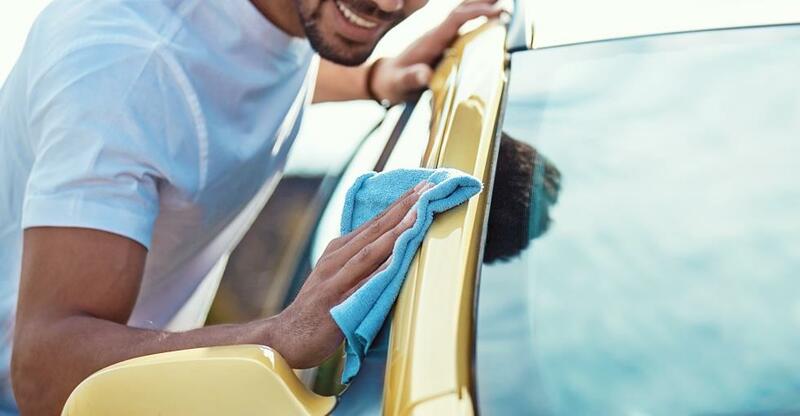 "It has been proved that having an attendant on site brings in more custom as they make the customer welcome, ensure the bays are clean and identify equipment problems quickly,” Diane Ross, a car wash owner and CEO of the Australian Car Wash Association, told the Sydney Morning Herald. Whether you’ve bought a money-spinning facility or a bargain basement operation that is struggling to break even, there are ways to boost profits. Signage. Are you making the most of your prime spot on a major thoroughfare? A huge proportion of custom in this trade comes from spur-of-the-moment decisions. How easy it is it for passing motorists to notice your car wash – and from what distance away? And is it even obvious that it's a car washing business? Try driving past a few times from both directions to see for yourself. Consider talking to a designer for a professional solution if the signage is shabby or inconspicuous. Social media. Are you using Facebook to promote your business? Setting up a business page and targeting the local area with interesting and engaging advertising is a good way to beat the drum. SEO and Google My Business. But there is a simpler way to attract customers than cultivating a charismatic social media presence. Optimising your Google business listing and boosting your position on Google search results for key terms like ‘car wash in [your area]’ might be a more productive pursuit than building a Twitter following. Diversify. Value-adds like cafe facilities – or at least a comfortable waiting area with vending machines – and free wifi access are a great way to both generate additional revenue and generate repeat custom in a business heavily reliant on passing trade. Are there any ‘thinking outside the box’ ways to enhance the customer experience? For example, you could offer dog-owning motorists a pet washing service. How about a sausage sizzle on a Saturday? It works for Bunnings! Be eco-friendly. Many customers are increasingly mindful of the ecological costs of their spending. Invest in equipment and methods that burnish your eco-credentials – and champion this in your marketing. Interested in buying a car wash? Take a look at our car washes for sale. Daniel Harrison reveals the key to running a successful car wash business (hint: it has nothing to do with how you wield a sponge). More Australians than ever are turning to the convenience of a car wash. Here are some tips on buying the right business to capitalise on strong, steady demand. When the time comes to sell your car wash, time won’t be a luxury you have in abundance – so plan your exit today to get on the front foot.